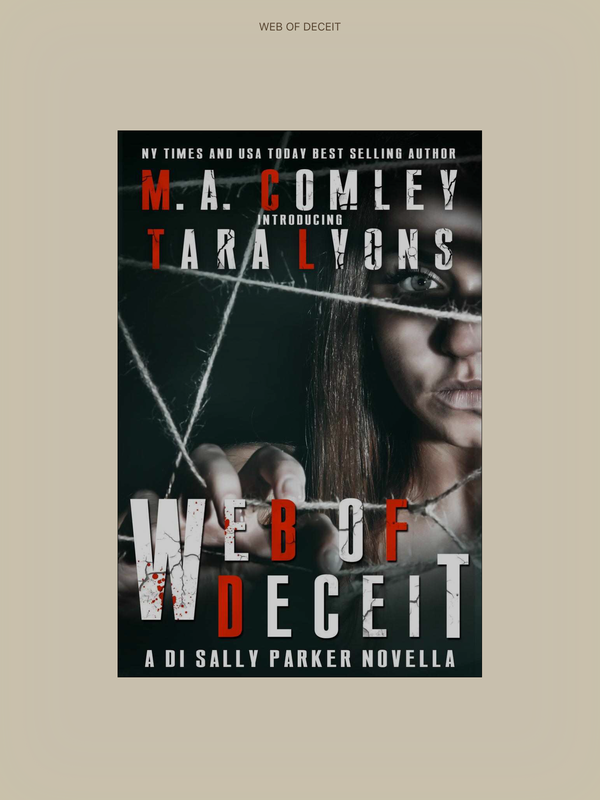 First off, many thanks to Tara Lyons for my copy of Web Of Deceit in return for an honest review. I’ve not read any books by Mel Comley yet, but I have Cruel Justice and Wrong Place on my kindle TBR for a while. I’m also waiting for Tara’s debut novel to be released! There’s no description up on Goodreads as of yet. However, it’s a DI Sally Parker novella. It focuses on Megan Carmen, an France-based author who wants to move back to the UK and enlists the help of one of her Facebook friends to help her search for her dream home. Ive just finished Web of Deceit and I still haven’t given it a rating on Goodreads. I’m torn! I don’t usually read novellas, so I’m not used to the pace at which they progress or how speedily things happen. Web Of Deceit is a novella with trust at its heart. Megan trusts her new Facebook friend Tina, so much so that she comes over to England and lets Tina help her find her new UK dream home. On the first night, Megan and Tina have a strange night at a hotel, with unsettling events happening and enough to leave Megan shaken. The two women move to a second hotel on the next night, but when Megan wakes up and Tina is nowhere to be found, panic sets in. Megan is put in touch with DI Sally Parker, who leads the investigation into the alleged disappearance of Tina. However, things take an even more sinister turn, and not everything is as it seems. As this is a novella, I can’t give any more away without spoiling the plot. Sufficed to say, Web Of Deceit is a book that focuses on exactly that. The intricate webs of deceit which people weave effortlessly, with little thought for others. It is a cautionary tale, forcing the reader to consider how well they know people, especially those who forge friendships with people they meet online. Social media is a shadowy place, where many people are not what they seem. Web of Deceit is a well written story, with a well thought out plot. For me, it was a nice introduction to DI Sally Parker, who seems like a capable and intelligent character and I look forward to reading more about her. I gave Web Of Deceit 4 stars on Goodreads. A well thought out novella, and a great intro to DI Sally Parker. You have popped your Mel cherry!! Woohoo!! Next Next post: Weekly Wrap Up!